National Geographic Traveller (UK) is saluting the taste-makers and game-changers of the hotel world, by creating The Big Sleep Awards. The Jul/Aug issue of National Geographic Traveller (UK) reveals the winners of the Big Sleep Awards 2017. Hotels from all over the world were submitted for review and Italy came out on top several times. Venice, Lake Como and Umbria are the best places to get some shut eye. The Gritti Palace in Venice, Il Sereno on Lake Como and Eremito in Umbria were all commended with high honors. 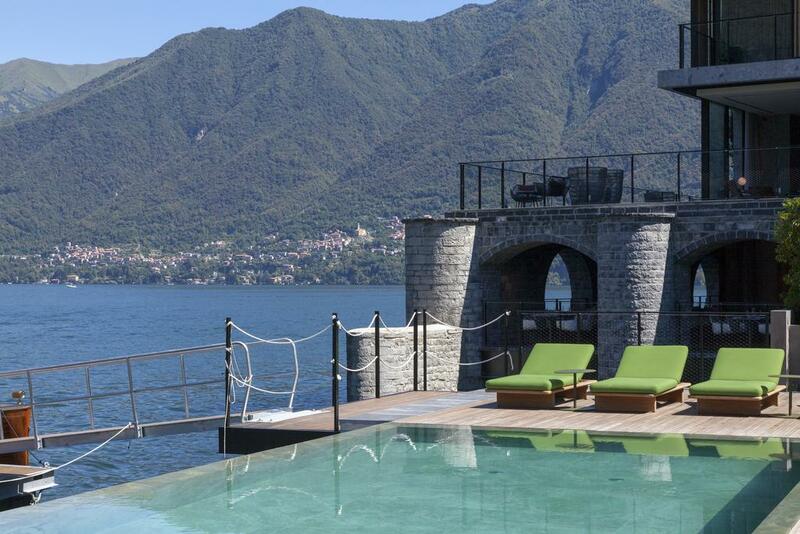 Harper’s Bazaar, CN Traveller and Vanity Fair have all put Il Sereno on thier “Hot list”. Located in Torno, a small town on the shore of Lake Como, Il Sereno Hotel offers spectacular views of the lake and mountainous backdrop. An infinity pool in front of the lake beautifully unites the man-made structure with mother nature’s beauty. Once a noble residence, The Gritti Palace has been restored to its splendor and elegance. Easily accessible to the city center and transportation. The Gritti Palace will pamper you like royalty. Eremito is all about Mind, Body and Spirit, described as an “eco luxury hermitage” set in a 14th century building reminiscent of a monastery. Located in the quiet area of Parrano, Umbria, Eremito is place to go to get-away from the chaos, un-plug, enjoy special wellness treatments and look inside yourself to discover new strength and serenity.